At first reading, you might be left with the impression that this is another ergonomics trial, however, that does not appear to be the case. Instead, Toyota has made the AIRFRAME mandatory personal protective equipment (PPE) just like a pair of safety glasses, closed-toe shoes or earplugs. The exoskeleton protects the muscular-skeletal system of the upper body such as the shoulders, neck and back. 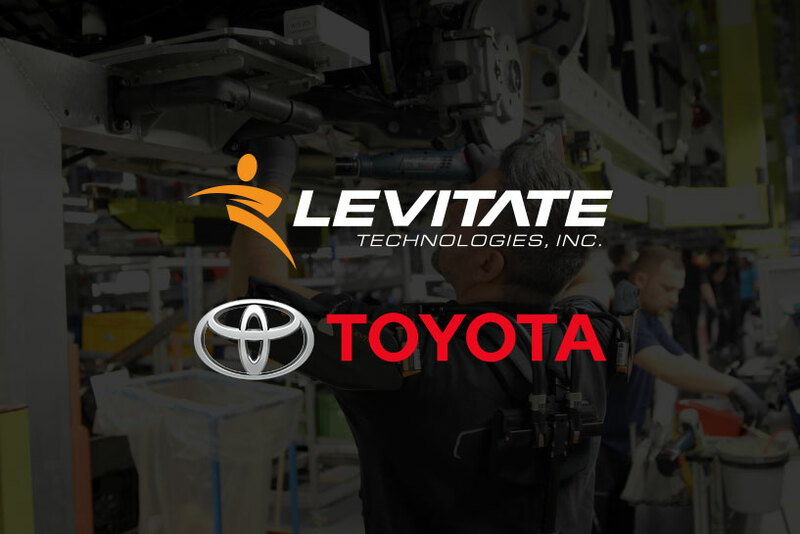 This is a significant milestone not just for Levitate but for the entire exoskeleton industry. Last August, Iowa State University’s Jason C Gillette and Mitchell L. Stephenson published a conference paper on EMG Analysis of an Upper Body Exoskeleton During Automotive Assembly (ResearchGate). In it, the authors conclude that there is a significant reduction in muscle activation while wearing the AIRFRAME depending on the task being performed. Of course, this is the tip of the iceberg when it comes to the body of evidence that supports the use of shoulder exoskeletons. The Levitate team had the genius idea of taking their shoulder exoskeleton to various competitions that were never designed with exos in mind. Competitors competed with and without the exoskeleton and compared their scores, and more importantly, their scores over time. With this ergonomic device, the time it took for fatigue to set in and for quality to decrease (and the score to begin decreasing) was measurably longer. As of publication, there are as many as eighteen developers spread around the world working on shoulder support exoskeletons. The interest in this technology continues to increase.